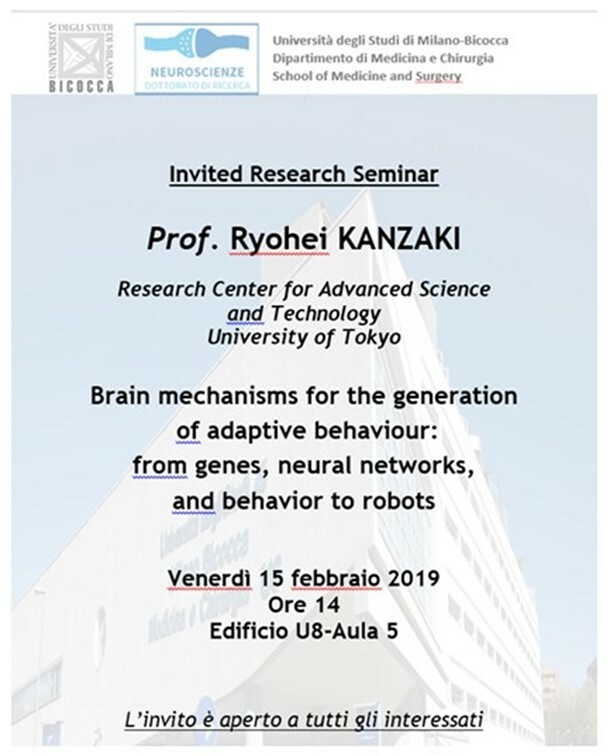 Brain mechanisms for the generation of adaptive behaviour: from genes, neural networks, and behavior to robots. The aim of our research is to clarify the basic neural mechanisms for generating adaptive behaviors or biological intelligence acquired through natural selection using the interdisciplinary approaches of informatics, engineering and biology. We have taken combined approaches at various levels, from genes over single neurons to neural networks, behavior, modeling, and robotics, owing to the insects’ seamless accessibility to a wide variety of methodological approaches.